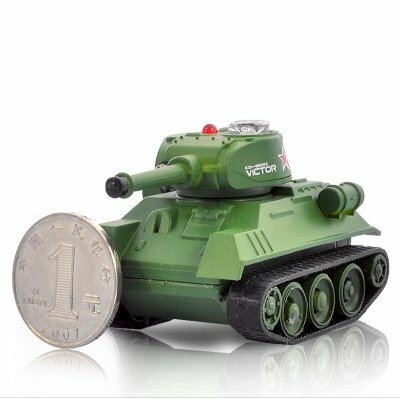 Successfully Added Android Tank for Android OS Devices - Button and Motion Controlled to your Shopping Cart. Android Tank toy controlled using your android smart phone or tablet by pressing a few buttons or simply move your device! Playing the Android Tank is easy and fun. Just download the controller app with your device, connect the transmitter to your device, and you are ready for some fun! It's compatible with Android 2.0 to Android 4.0 OS so you can be sure that it will work with your phone or tablet. And here is something totally cool. A stunning feature of this toy is that you can actually switch from the button control to the exciting move motion control. Forget the buttons! Just move your tank to the left by moving your Android device in the same direction. Amaze your friends with this cool gadget, or surprise your children with this dream toy. The Android Tank is one of the most popular Android device controlled toy currently available. Order now and we will ship out within one day! From the leader in the latest electronic gadgets, Chinavasion.